Walt Disney’s Legends of Imagineering and the Genesis of the Disney Theme Park introduces a core group of the originators of Disneyland and the other Disney parks. It explores their individual relationships with Walt and each other, their creative breakthroughs and failures, and their rivalries and professional politics. This candid narrative of their lives and contributions to a very special form of entertainment illustrates why, half a century later, their work continues to be vital and important to millions of people every day, and all over the world. 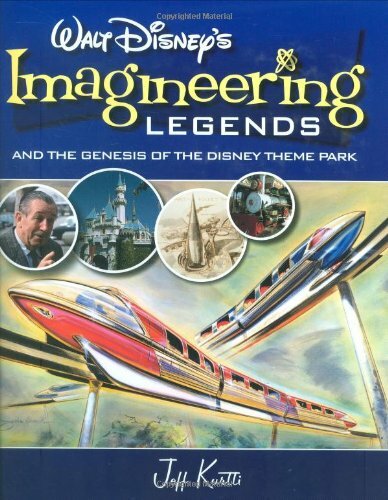 Lavishly illustrated throughout with rare and never-before-seen artwork and photographs, Walt Disney’s Legends of Imagineering and the Genesis of the Disney Theme Park will further enrich the reader’s appreciation of the exceptional talent behind Disneyland’s creation and ongoing evolution.